The trucking industry needs to hire about 30,000 maintenance technicians to keep up with demand. To meet this challenge, fleets and maintenance providers are working to get the most from the technicians they have while aiming to attract new techs to the field. “As we all know, the younger generation is not as interested in getting their hands dirty as they once were,” said J.P. Venezia, assistant director of maintenance at Limerick, Pa.-based Venezia Bulk Transport Inc. As older technicians retire, there are fewer younger techs to replace them, he said. 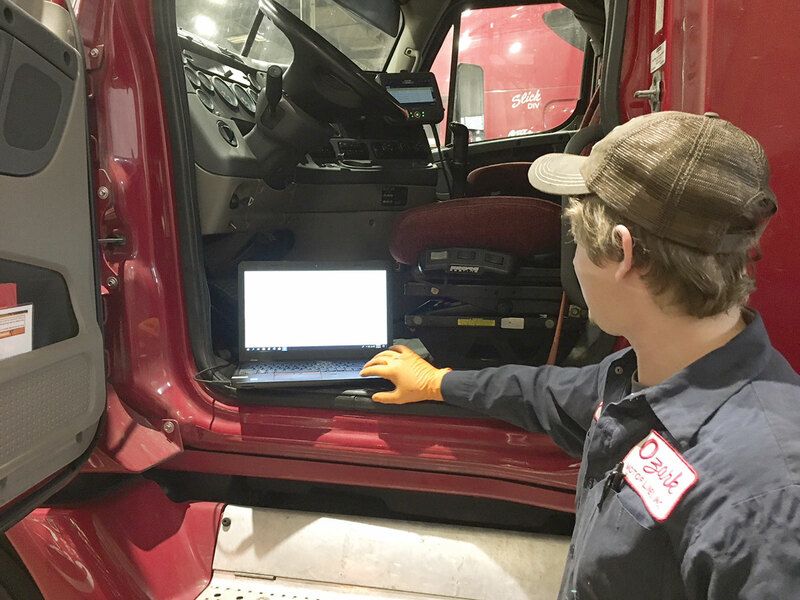 Jack Legler, technical director for American Trucking Associations’ Technology & Maintenance Council, said the technician shortage is affecting fleet maintenance. In addition, “fleets are not only trying to find technicians but also competing with the service providers for the same people,” said Legler, who provided the 30,000 figure on the technician shortage. Glen McDonald, maintenance director at Memphis, Tenn.-based Ozark Motor Lines Inc. and as of press time TMC’s outgoing general chairman, said his fleet has pretty low turnover but works with the Tennessee College of Applied Technology to bring in new technicians. The carrier also supports a transportation, science, technology, engineering and math program at the high school level. “I think you’re going to see a big move of trying to convince parents and kids that this is a good career path,” McDonald said. Ozark’s shops are open 24 hours a day, but the main work is done during the day.